Exceptional prospect with balance, good bone, maturity and a kind disposition, plus superior movement. 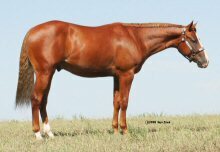 Dam is full sister to Good N Sure, 348 points and $13,999, 4th AQHA World Show, shown by G.H. Pait. 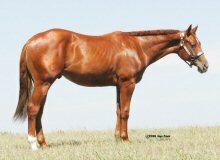 Eligible for NSBA Breeders Championship, NSBA Stallion Incentive, Nebraska Breeders Futurity. Nominated to the AQHA Incentive Fund. We have chosen to keep back this great prospect for our trainer, Dan Prouhet, to show in the 2007 Reichert Celebration Stakes events. Great moving with quiet disposition. This exceptional prospect can really lope. Absolute Investment crossed on a daughter of Good Asset produced Absolutely My Bet, NSBA Breeders Silver Champion 2 Year Old. 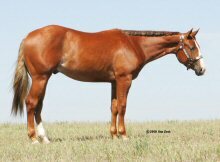 Eligible for NSBA Breeders Championship, NSBA Stallion Owners, Nebraska Breeders. Nominated to the AQHA Incentive Fund. Congratulations goes out to Brent & Robin Harrelson of Bruce, MS for the purchase of this outstanding prospect through the 2006 Reichert Celebration Yearling Stakes Sale. 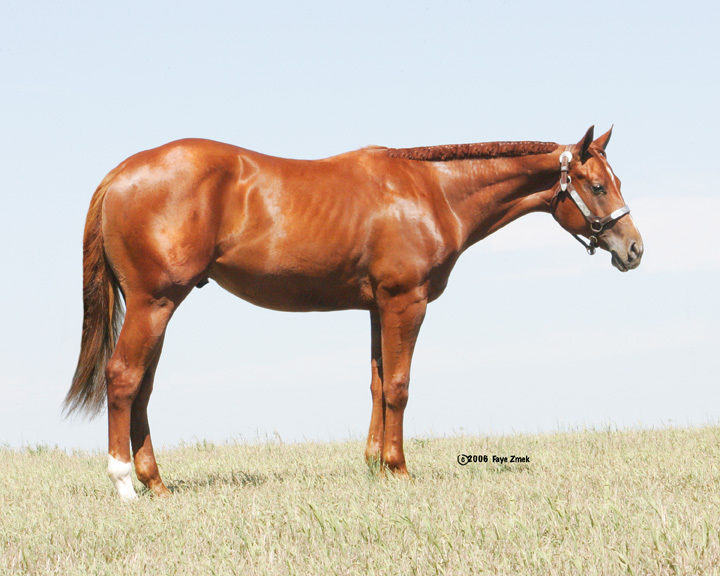 He will be developed into a two year old futurity contender and be shown next year at the Reichert Stakes events. Big, balanced, strong, and quiet. 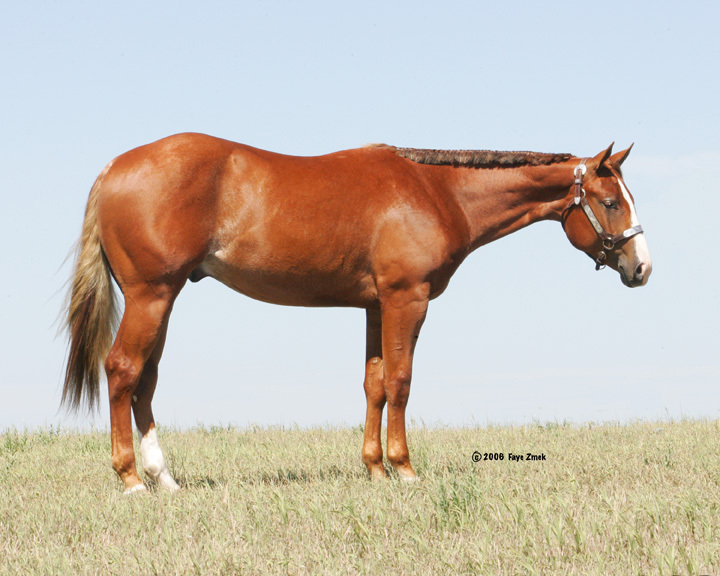 This gelding is a natural pleasure horse. He jogs and lopes equally well with natural self carriage in The Big Investment tradition. 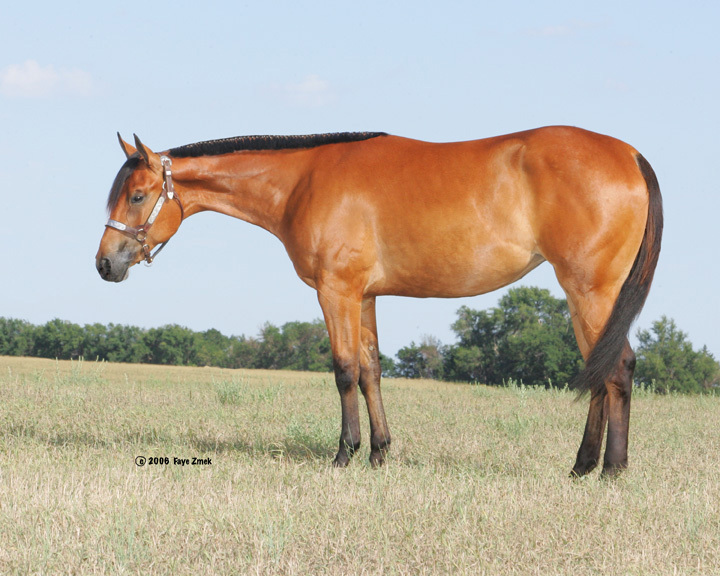 Nominated to AQHA Incentive Fund, eligible for NSBA Breeders Championship, NSBA Stallion Owners Futurity, Nebraska Breeders and Northwest Congress. Congratulations goes out to Karen Stone-Graham of Cave Creek, AZ for the purchase of this outstanding prospect through the 2006 Reichert Celebration Yearling Stakes Sale. 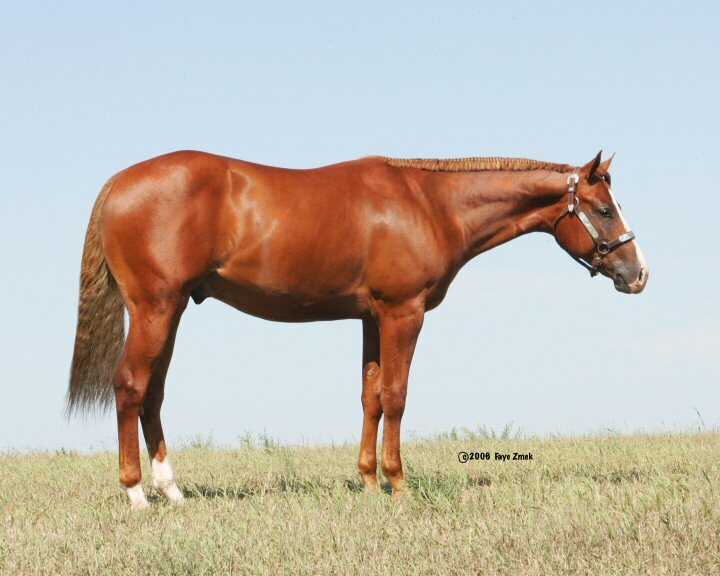 He will be developed into a two year old futurity contender and be shown next year at the Reichert Stakes events. Beautiful, balanced, strong, and great moving. This filly represents the best in McWhirter genetics. Her first dam is one of the youngest daughters of The Invester, and her second dam is superior performer and producer. NSBA Breeders Championship, NSBA Stallion Owners, and Nebraska Breeders. Nominated to AQHA Incentive Fund. Congratulations goes out to Harry & Julie Knight of Zachary, LA for the purchase of this outstanding prospect through the 2006 Reichert Celebration Yearling Stakes Sale. 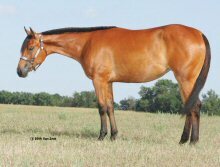 She will be developed into a two year old futurity contender and be shown next year at the Reichert Stakes events.